You can view brief YouTube clips of the original presentation here. I recently observed two of eight focus groups held to capture how the middle market retirees today, ages 63 to 75, made the decision to retire. Focus group participants were those of middle market retiree ages, ages 63 to 75, grouped by number of years in retirement (five years or less, five years or more), level of retirement assets (those which had under $150,000 and those which had over $400,000), and by gender. Acceptable focus group participants were those who retired voluntarily and who were considered to be at high risk of running out of money in retirement; in other words, those who were required to make tradeoff decisions. The uncertainty implicit in what life planning might bring; they wanted to keep their powder dry. It’s just not how they’re wired. Since all of this goes totally against the grain of a retirement counselor’s DNA, how can we use these insights to make a difference in how we serve the middle market? What other approaches do we have besides a 4 percent systematic withdrawal to help people make informed decisions which includes all their assets? I want to bring to you information that I’ve been collecting as I’ve worked on this market in the last 20 – 25 years. It’s been great because in the last ten years we’re really starting to see some changes, which is why the title of this article is, “The Stage is Set for Serving the Retirement Needs of the Mid‑Market.” We go through some research and a variety of other studies that are giving us the clues to see that things are changing and bring these things to your attention. 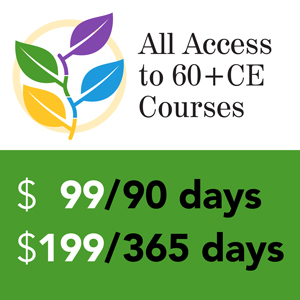 I do research with the International Foundation for Retirement Education, to provide professional development education and training materials. My goal is to help nudge those of you who work with this market to start thinking about ways that we can be more productive and profitable when serving this market. We see this as a valid business opportunity and understand how we can service this part of the industry. I’m from Michigan, the auto capital of the world. Any ideas what we just celebrated the 100th anniversary of? The assembly line. In 1913, Henry Ford broke down the assembly of the Model-T into 84 steps where 3,000 bolts and parts were bolted together. He took the assembly of a vehicle from 12 hours down to 90 minutes and by 1927, every 24 seconds a vehicle was coming off of the assembly line. His vision was to manufacture affordable cars that appealed to the masses. The assembly line also was responsible for driving the price of a car from $850 down to $260. My point is that we need a model like this for working with the mass market in order to help us be more productive, profitable, and better serve their needs. Just as the medical and other industries figured this out, we just need to help evolve how we do what we do in the retirement industry. In 2012 the size of the retirement assets in the United States was up to almost $20 trillion, which is absolutely amazing. In 1995, total retirement assets were $7 trillion, so we’re up almost three times that amount over the last 15 plus years. The bottom line or the blue area are IRA assets, which increased to over $5 trillion in 2012. The yellow area are the defined contribution plans of 401k, 403(b) and the 457, and then the green area represents the other plans, which are primarily defined benefit assets in the United States. Starting in 2007, we actually finally crossed over from IRAs being the least amount of the pots of money to now being more than defined contribution plans, because that’s when the Baby Boomers started to retire. That money came out of the plans and went into rollover IRAs, so now there’re lots of people that need to make decisions about what they’re going to do with this money. We really are not as prepared to help them as we need to be. What is the middle market? InFRE participated in a couple of studies with the Society of Actuaries where we looked at defining the size of the middle market. We defined middle mass households as those in the 25 to 75 percentile of all households by income. Mass affluent households are those in the 75 to 85 percentile of households by income. We basically divided it up into people who were under age 64 (ages 55 to 64) and those ages 65 to 74. In total, we’re looking at about 20 million households. For those that under age 64, you’re looking at about 10 million people here in the middle mass area and about 2 million people in the mass affluent. Basically, you’re looking at five times more people are in the middle mass market than there are in the mass affluent market. For the average advisor, however, they spend most of their time with the smaller mass affluent area. On the first line of the chart below for middle mass households ages 55-64, you’ll see married individuals – 5.7 million households – with median net worth of $277,000. Their non‑financial assets are $181,000 which consists primarily of their home equity. Their financial assets are $96,000; so in other words, their non‑financial assets make up the majority of the assets that they have available. As we move down into other age brackets where you have more wealth that’s been accumulated, you still look at out of a median net worth for the married people – those with $1.2 million estimated median net worth – $671,000 is home equity, which is still greater than the amount of financial assets that they have available for retirement. The data shows that as we get to those that over age 65, same thing: the majority – and you get down to those who are single, male or female – the majority of their financial assets are not in something that can be managed. It’s in their home equity. Only one out of these four groups (ages 55-64, over 65-74, and middle mass income levels or mass affluent income levels) actually has more assets to manage that are in an account somewhere that a planner or someone can help them with that is more than what they have in their home equity; those who are part of the age 65-74 group who are considered Middle Affluent Households. So, it just goes to show you this whole home equity thing is something that needs to be considered more in planning for middle market retirement. It’s something that, again, we need more information on so we can help people look at how to use those assets in retirement. Based on this, asset management might be expected to be the least important service we provide for the middle market, however for most financial planners, it is the most important of their business model. What’s the applied research that we have today to help us work smarter? What have we learned over the last 10 to 15 years? I’ve written a series of articles in the Journal of Financial Planning about working with the mid‑market and since 1999, I’ve been working with the Society of Actuaries on a variety of applied research projects. Actuaries are all about managing risks. Being a CFP® and coming from the financial management side of the industry, I’ve always been in that mindset as well, that we can asset manage our way out of this and take care of risks at the same time. It’s been a real eye‑opener for me to work with actuaries who look at things differently. They look at things from a risk-management perspective, not necessarily the opportunity-costs perspective that the financial market does and I just think they have really done a lot of great things for us and we’ll see a lot of their work today in this presentation. In 1999 the SOA started an annual study on the risks of management, risks of retirement and asking people who are either still working or those that have retired what are their concerns that are retirement-specific risks. There is a core group of questions that we ask each time and then we also add questions to do a new type of report such as Women in Retirement or Phases of Retirement, Housing in Retirement, etc. Some other insights that we’ve learned through the Society of Actuaries research over the years are people put little focus on risk-management products. It’s not only the consumers; it’s the advisors, too. We don’t stop at risk-management before we go off to asset management, which is a huge mistake for the middle market. People don’t understand, from the individual retirees and workers, how the death of a spouse is going to affect their retirement security. They don’t understand the impact of working longer and how that can help their later in life retirement income. They don’t understand how to claim Social Security so that they benefit the most from that in terms of different Social Security strategies. They underestimate the effect of inflation on expenses. Many people don’t understand longevity. They underestimate their time horizon. They basically look at things in five- and ten‑year chunks and once the ten year comes along, they look at the next ten years. So, they really look at it more from almost a day‑to‑day kind of thing or a year‑to‑year kind of thing because they feel that that’s all they have that they can control is a shorter time period. People who live the longest have the most problems in terms of potentially running out of money, which is obvious because they’re living longer. But they also have higher health expenses, which is counterintuitive. You’d think if people are living longer it’s because they’re healthier. Well, it’s also because they’re living longer they pay more out of pocket and insurance premiums and things like that over the years so they end up having more challenges to financial security. People retire and they decrease their exposure to equities. For the 4 percent rule to work you need a 60 percent exposure to equities to make the numbers work. People are really dialing down their exposure, which then makes the systematic withdrawal approach not be as good of a thing. Housing, even though it’s a significant portion of assets for most folks, in most cases is excluded from retirement planning. Finally, the mid‑market self-insures their risk, for the most part. When we asked what, if anything, have you done to help prepare you for your changing needs in retirement? They do things that they can do. They save money, think they invest to make assets last by protecting the principal. Some are buying long‑term care insurance. They cut back on spending, try to stay healthy, to improve health, and pay off debt. What is the No. 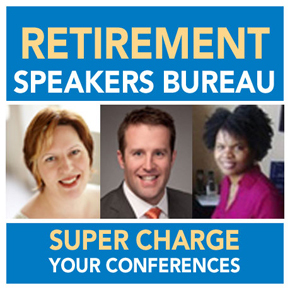 1 thing they do to prepare for their changing needs in retirement? There’s a challenge here in terms of trying to help them manage retirement risks. They don’t feel like they have options except for what they can do for themselves. What are some new strategies that have come out in the last ten years to help us help the middle market make more informed decisions? One of the things we did with InFRE back in the early 2000s was to help come up an income management planning approach that first looks at an individual’s essential expenses and discretionary expenses. You build a floor so that you help protect your essential expenses being paid throughout retirement and use assets that are invested in a more risky fashion for the discretionary expenses in order to make sure that you have that base of income that you need over the rest of your retirement. As we’ve seen with the Social Security claiming strategies that have surfaced over the last several years, we have some great information that’s coming out now to help people make more informed decisions. The numbers may show that you’re better off working until 68 or 70. What we battle is people just wanting to retire. The logic can be there, but the emotion can take over. We’ve also seen where phased retirement can tremendously help people that are retiring to not have to draw on their assets yet. Also, there’s a great new website called HealthView for analyzing the funding of healthcare expenses. They look at ways to pay for healthcare in a different way than you would have expected. They project Medicare, long-term care costs and other things. Another asset management strategy for the middle market is a bucket approach to retirement income. Buckets can be defined in many different ways: ages 60 to70, 70 to 80; working up to the age that you take Social Security at 70 and then maybe to 85 and then to 85 and over; and other approaches. One thing that came out in the last few years to help implement bucket approaches is longevity insurance, also known as an advanced life deferred annuity, basically an annuity that kicks in at age 85. It allows you to manage the investments from what retirees have available from their retirement age, up to 85, knowing that age 85 and over is taken care of, which really helps tremendously when you’re looking at putting together a portfolio. There are new home equity strategies, like those by John Salter and Harold Evensky, where a home-equity credit line is used as a cash reserve fund whenever the market would go down. Rather than doing a negative systematic withdrawal and needing to sell funds that are depressed, this involves not selling the funds that are depressed but instead taking some money off of the home-equity credit line and paying that back when stock prices go up. There has also been more focus on using a home equity line of credit if somebody needed to downsize or maybe enter into a nursing home. They can use a line of credit to maybe make that transition to help them start paying expenses if they want to wait a little bit longer before selling. Also there are new reverse mortgage products. In sum, in order for most middle market Americans to retire with more confidence, there needs to be a combination of solutions like working longer, waiting to take Social Security, maybe increasing the rate of return on the assets. What are some of the other things that help us now in terms of working with the mid‑market? We’ve had some new regs and new legislation to help reduce roadblocks. Many people don’t know this retirement planning is now a deductible employee benefit like healthcare. The Pension Protection Act said that companies can now provide retirement planning as a benefit to their employees and deduct it like they would pay for their healthcare, but that got lost in all the last five years’ recession excitement. This is something that companies need to start paying attention to. Retirement planning advice in the workplace is now a possibility now that we can provide investing advice in the workplace – what’s called conflicted advice, where reps can provide specific advice about which investments the employee should invest in as long as they use a software package that gets audited annually so there’s not a bias towards one particular product or another. It’s just a short jump to offer retirement planning advice in the workplace. The Department of Labor (DoL) and the Employee Benefit Security Agency (EBSA) have also looked at annuity options in employer plans, inside of plans and outside of plans. They’ve also put an annuity calculator on their website, knowing that for many in the private sector, a defined contribution plan is all they have for retirement. They want to help people understand that using a pension like type product can help them increase the duration of their retirement assets. In 2013, the DoL also issued an Advance Notice of Proposed Rule Making to require participants’ statements to include a projection of retirement income from the amount they have saved. 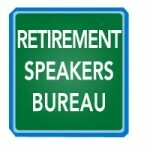 Personally, I think this will tremendously increase demand from consumers for retirement planning help. I’m a CFP®. We have a professional planning model which is great, but for the middle market, we need to take adapt it the same way Henry Ford adapted the assembly of the automobile 100 years ago. The healthcare industry has a lot of this figured out. If you make a visit to an emergency room, you don’t see the highest paid doctor right away. You see a triage nurse first who assesses the seriousness of the situation. You get to the physician after the triage team has already done some identification of what the problems are and possible courses of action. We need more software to help us be more productive in this market and better serve our clients’ needs. InFRE participated in the last ten years in a couple of software studies with LIMRA and Society of Actuaries. In many of the software packages today planners don’t have the tools they need, such as analyzing Social Security claiming strategies, income and expenses by phases of retirement, modeling for how to fund healthcare, how to use home equity or the use of lifetime income sources to increase duration of savings. Another thing that’s going to tremendously help in driving down cost is the ability for individuals to self-service, for the client to be able to put in their own information so that the retirement professional or their staff don’t have to do that. There are screen-scraping services where consumers are able to go out and pull their balances off of different accounts and pull them into the one software. Then the retirement professional can get involved. Maybe in the future we’ll have a business model similar to that of the medical field, where the blood tests results are already done, information is already gathered, and the doctor comes in for their ten minutes and determines a course of action based on the information that has been collected. William Clay “Bill” Ford, Jr. is the executive chairman of Ford Motor Co. today. He once said of his great-grandfather when they were celebrating the anniversary of the assembly line, that he was proud that his grandfather was able to bring the freedom of mobility to millions by making cars available and affordable to families, and that his vision of serving people still drives everything that Ford does today. This sounds like a great vision for those of us who are picking the retirement space as where we want to be and how we want to make a difference in the world. 1 Other plans include private-sector DB plans; federal, state, and local pension plans; and all fixed and variable annuity reserves at life insurance companies less annuities held by IRAs, 403(b) plans, 457 plans and private pension funds. Federal pension plans include U.S. Treasury security holdings of the civil service retirement and disability fund, the military retirement fund, the judicial retirement funds, the Railroad Retirement Board, and the Foreign Service retirement and disability fund. These plans also include securities held in the National Railroad Retirement Investment Trust and Federal Employees Retirement System (FERS) Thrift Savings Plan (TSP). 2 DC plans include 401(k) plans, 403(b) plans, Keoghs, and other DC pans without 401(k) features. 3 IRAs include traditional IRAs, Roth IRAs, ad employer-sponsored IRAs (SEP IRAs, SAR-SEP IRAs and SIMPLE IRAs). 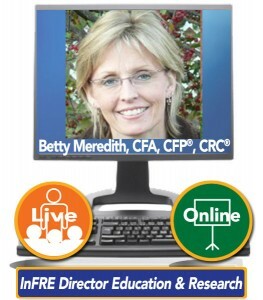 Betty Meredith, CFA®, CFP®, CRC® is the Director of Education and Research for the International Foundation for Retirement Education (InFRE), and Managing Member of the Int’l Retirement Resource Center, LLC. She has 30 years experience in financial services, over twenty of those years in employee, client, and professional retirement education with major financial services companies and employers. 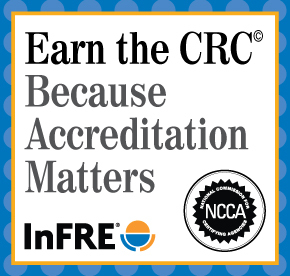 As InFRE’s Director of Education & Research, Betty oversees incorporation of research findings and best practices into InFRE’s retirement certification study, newsletter, and professional continuing education programs in order to help retirement advisors and counselors more effectively meet the retirement preparedness and income management needs of clients and employees.